Great news for all you Star Wars fans out there. The filming of the still untitled Han Solo Star Wars project has just started and the folks behind the franchise have apparently been feeling extra generous lately as they decided to give us some fresh details about the plot, as well as the cast of this installment. “The movie will explore the duo’s adventures before the events of Star Wars: A New Hope, including their early encounters with that other card-playing rogue from a galaxy far, far away, Lando Calrissian,” the statement reads. 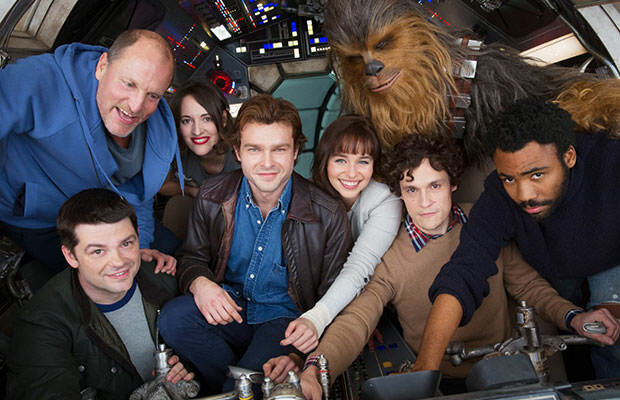 The film is being directed by Phil Lord and Christopher Miller, while the star-studded cast includes: Alden Ehrenreich (as Han Solo), Woody Harrelson, Emilia Clarke, Donald Glover (as Lando Calrissian), Thandie Newton, Phoebe Waller-Bridge, and Joonas Suotamo (as Chewbacca). The movie is set to hit theaters on May 25, 2018, meaning Disney is trying to pivot the franchise back into the summer movie season. This could actually dampen their box office return as this release date is putting the Han Solo movie in the company of “Avengers: Infinity War” (May 4th), a “Transformers” spinoff (June 8th), “The Incredibles 2” (June 15th), and “Jurassic World 2” (June 22nd). Can’t wait for that summer though!